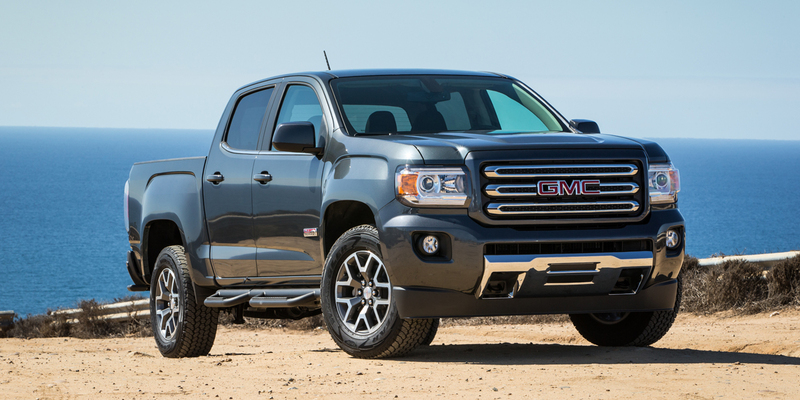 The redesigned GMC Canyon (along with its slightly less-ritzy cousin, the Chevrolet Colorado) trumps its aged compact-pickup rivals by delivering up-to-date technology features and significantly better all-around refinement. The 2015 Canyon is notably bigger than its 2004-2012 predecessor—and its Nissan Frontier and Toyota Tacoma rivals—but is about a foot-and-a-half shorter, six inches narrower, and three inches lower than the full-size GMC Sierra pickup. 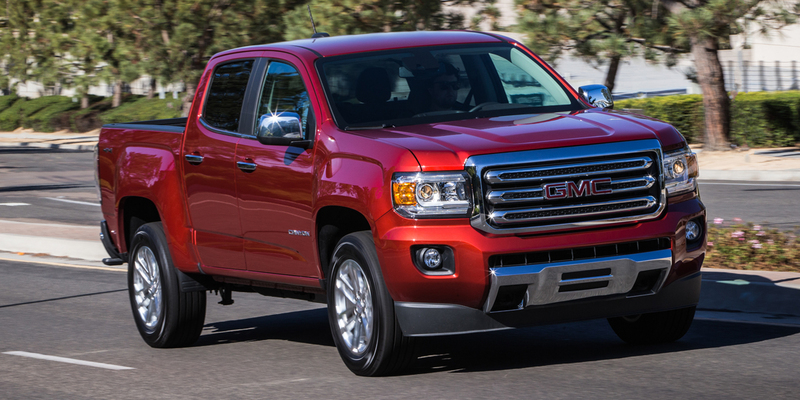 The Canyon is GMC’s “compact” pickup, though it’s large enough to be more accurately called a midsize pickup. Extended-cab and crew-cab body styles are offered, but a regular cab is not. 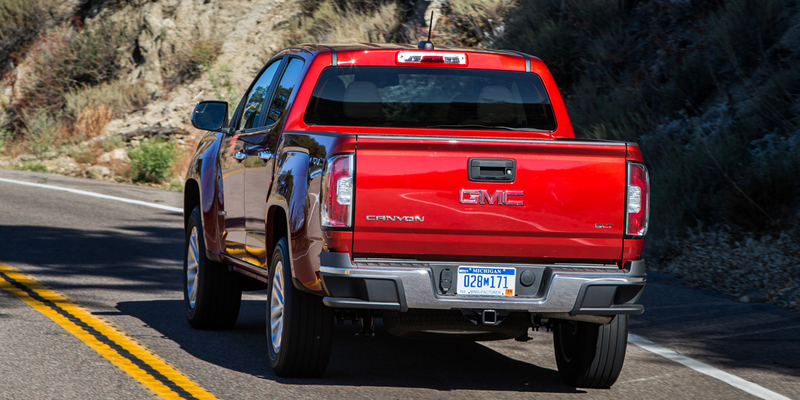 Though both the Canyon and the Chevrolet Colorado are built on the same basic platform, the GMC has a more premium feel than the Chevy. The Canyon’s upscale features include more-formal exterior styling, a ritzier interior with a soft-touch dashboard on most models, and an exclusive “Auto” full-time 4-wheel drive system that allows 4WD to be left engaged on dry pavement. The Canyon is reintroduced on an all-new platform for 2015 after being on hiatus for the 2013 and 2014 model years. Everything is new: exterior styling, interior designs, engines, and many features. The new safety equipment includes a standard rearview camera, standard OnStar assistance system, and optional forward collision warning and lane departure warning. Meanwhile, available comfort and convenience features include remote start, power lumbar adjustment for both driver and front passenger, leather upholstery, automatic climate control, and heated seats. 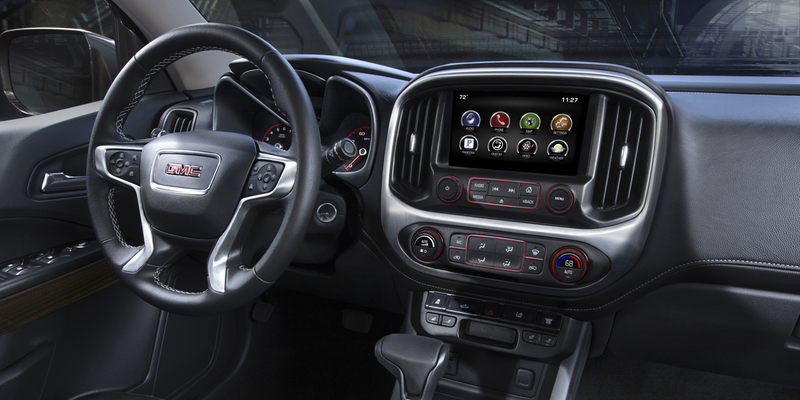 Available connectivity items include an 8-inch touchscreen, satellite radio, navigation system, voice recognition, Siri Eyes Free (for those with iPhones), and text-message alerts. The 4-cylinder engine’s EPA estimates are 20 city/27 highway with rear-wheel drive and 19/25 with 4-wheel drive. The 4-cylinder with the 6-speed manual (which is available only with rear-wheel drive) is rated at 19/26. 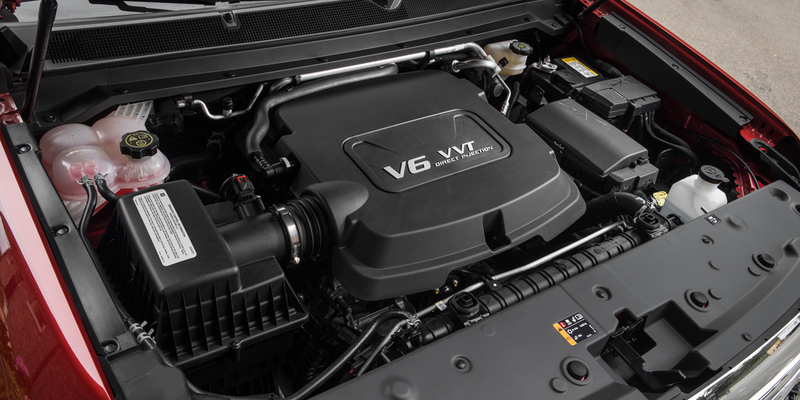 The V6 is rated at 18/26 with rear-wheel drive and 17/24 with 4-wheel drive. As all-new designs in a class of two very old competitors (the Nissan Frontier and Toyota Tacoma), the GMC Canyon and Chevrolet Colorado become Best Buys almost by default. The Frontier and Tacoma were last redesigned for 1998 and 2005, respectively, and simply don’t offer the up-to-date features and refinement of these two GM pickups. Pricing on top-line Canyons and Colorados reaches into the territory of full-size trucks that offer more passenger space and cargo/hauling capacity. However, for shoppers who need a truck that’s more economical and easier to maneuver, the new Canyon (or Colorado) is a great choice.